Behram Ahmed has been the Chairman/Founder of NdcTech since its inception in 2005. With his excellent entrepreneurial spirit, leadership skills and a visionary approach, Mr. Behram Ahmed has been able to take NdcTech to greater heights. Apart from this, he has also been involved in various other business ventures in the UK, Middle East & Pakistan. Behram was with Bank of America from 1982-1992 and worked in Karachi, Hong Kong and Singapore as the Regional VP. He then moved back to Pakistan in 1992 to run the Diners Club franchise in Pakistan in partnership with the House of Habib till 1997. Behram is currently a member of the Old Grammarians Society Trust, World Presidents Organization and is on the Board of various organizations in Pakistan. Behram completed his BA (Hons) in Economics from Essex University, UK and is an MBA (Marketing & Finance) from IBA Karachi. 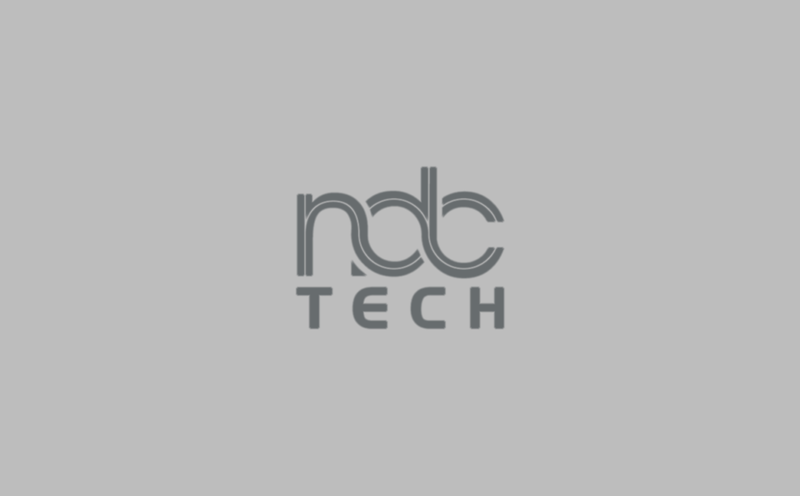 As the CEO & President of NdcTech, Ammara is responsible for strategy, developing key markets, keeping major client and partner relationships and overseeing company operations. Ammara is an expert at shaping business strategies into pragmatic IT solutions and implementation plans. Prior to NdcTech Ammara brings with her 25 years of experience in Information Technology industry working both as an entrepreneur and in management, strategy and leading customer relationship roles in North America, Middle East & Asia. Ammara brings a talent for analyzing complex business problems and identifying appropriate strategies and achievable solutions. She combines proven leadership skill with a specialist’s knowledge of business operations, technologies, products and solutions spanning industry sectors. In the past she has managed the development, deployment and implementation of large complex technology solutions for several fortune 1000 companies. She has managed global teams of program managers, project managers, management consultants, business analysts, software developers and other IT specialists for successful deliveries. Additionally she has program managed Implementations and led Systems Integration for multi-million dollar IT solutions for Financial, Telecom and Technology companies.She has been a speaker at Gartner Conferences, Microsoft Product launches and Temenos Forums at their Worldwide Events for innovative solutions delivered to customers. Ammara has won awards for many of her customers for the most innovative IT Solutions notably among them were Standard Chartered Banks “Global Trade Banking Innovation Award”. Most recently under her leadership as Head of Professional Services her company was awarded the “Best Partner Project of the Year 2011” by Temenos for a Core banking implementation of a Middle Eastern Bank. Ammara holds a Masters in Business Administration and Information Sciences from California State University as well as Diploma in Strategic Uses of Information Sciences from Stanford University Graduate School of Business. Navaid Kareem has 25 years of experience in the field of Marketing with his last ten years dedicated in the Core Banking Software Industry. He has managed diversified client & Brand portfolios in Oil & Gas, FMCG, Edible Oils, Pharmaceuticals and Banking sectors. As the Executive Vice President and Head of Marketing and Business Development Division at NdcTech, he is responsible for qualifying new business opportunities and attaining new clients across the MEA Region. He develops plans to maximize business opportunities with each customer, works closely with all customer-facing departments to ensure customer satisfaction and focuses on strengthening relationships with banking industry leaders. Navaid has been associated with NdcTech since 2001. When he joined NdcTech he took the challenge of Marketing T24, an International Core Banking Application of Temenos to Pakistani Banks. During his tenure here, he ensured successful completion of T24 implementation at State Bank of Pakistan as the local Project Director, converted eight commercial Banks in Pakistan into T24 clients that include Bank Alfalah, Allied Bank, Meezan Bank, NIB Bank, Atlas Bank, JS Bank, Silkbank and Waseela Microfinance Bank as Head of Sales & Marketing and then as General Manager of the company oversaw the successful implementations of the application at all of these new client banks. He additionally took on the position of General Manager of NdcTech FZE in UAE and successfully marketed its T24 services to international clients including Finance House and UNB in Abu Dhabi and NIB Bank in Iraq. Navaid returned to Pakistan from California, USA in 1991 after completing his education and gaining valuable work experience in Accounting and marketing. He established a Marketing and Advertising company in 1992, Montage I.S. that introduced digital image setting Technology to the Print Media industry and helped launch ‘Select’ stores for its client Shell Pakistan. As Managing Director of the company he inducted and managed high profile clients including Newsline Magazine, Shell Pakistan, Shell Middle East, Caltex, Lever Brothers, P&G, Soya Supreme, Getz, Hoechst Pharmaceutical (now Sanofi-Aventis), SK&F, Emirates Bank, Diners Club and many others. As Area Services Manager, Noman is responsible for smooth and flawless delivery of projects. He maintains a relentless dual focus on customer centricity and profitability. Under Noman’s leadership NdcTech won the “Best Partner Project of the Year 2014” by Temenos for a Core banking implementation of “Yemen Bank for Reconstruction and Development.” (YBRD). This project was completed in a limited time of four months. Prior to NdcTech, Noman brings with him 12 years of experience in Banking industry working in various domains including, Credits, Treasury, Trade and Branch Banking. Noman holds a Masters in Economics from University of Karachi as well as Diploma in Institute of Bankers (Pakistan). Tauseef is responsible for project governance and delivery at key projects in Pakistan, Middle East and Africa region. He has led several strategically important T24 projects to successful go lives. He has also successfully managed many cross cultural projects with his team. Tauseef’s energy and passion for successful project delivery is palpable in everything he does. Along with his responsibilities for project delivery Tauseef also provides strategic guidance to NdcTech’s HR and Training functions. He has played key roles in streamlining NdcTech’s HR policies and processes and in NdcTech’s wholescale adoption of the Temenos Learning Community (TLC)He holds a masters degree with majors in finance, an Associate of Institute of Bankers Pakistan and a Certified Chartered Banker qualification from the Royal institute of Bankers , Scotland.